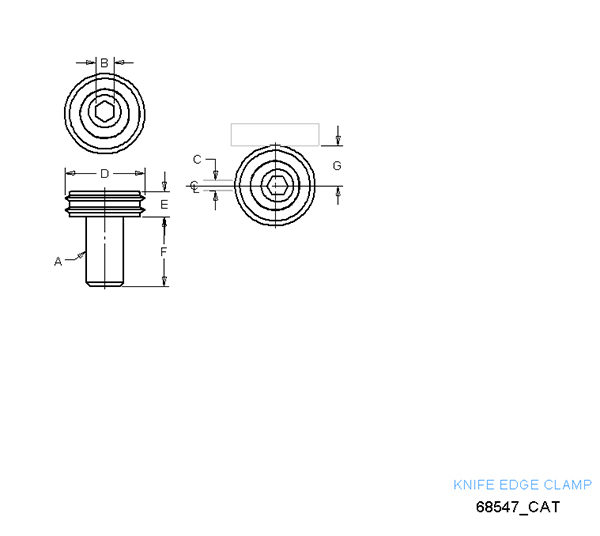 Knife edge clamps can be used for clamping rough cut stock, castings, or any material that requires a hardened clamping element. Hardened steel, brass- plated. Replacement screws are available. Please contact customer service for more information. for Price and Stock Check. * This measurement is the correct location to drill and tap the hole from the edge of the work piece. Unless otherwise stated, English units are inches (in) and pounds (lbs) and Metric units are millimeters (mm) and kilograms (kg). Copyright © 2019 Jergens Inc. All rights reserved.